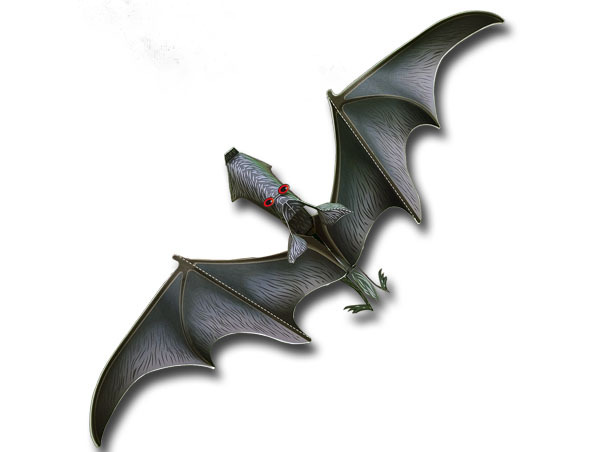 The Bat Dog!, this cute puppy will fly around your nightmares once it is built. 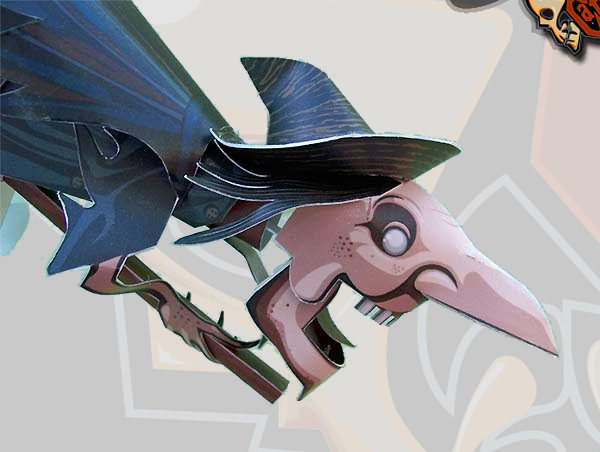 This Automata moves the wings and the mouth when you action the mechanism. Get this paper automata in 1 PDF file, just print it, cut, fold and glue following the instructions. Once you buy, you will get a copy of the paper model in a PDF Acrobat file that will be sent to your paypal email (if you want other email, please write it on the paypal payment as a note). 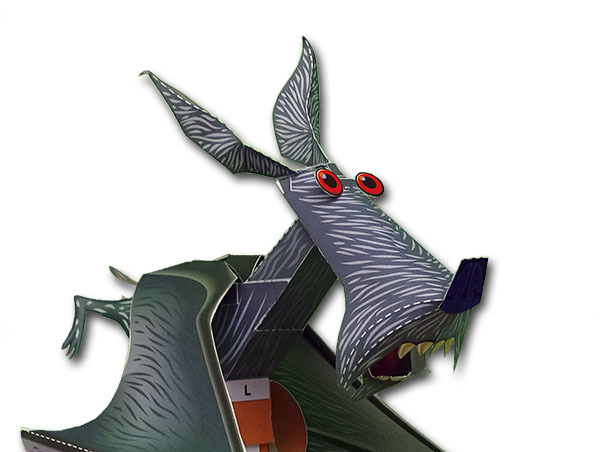 The Bat Dog comes in a PDF file with instructions and patterns. The difficulty level is medium, especially in the head mechanism. 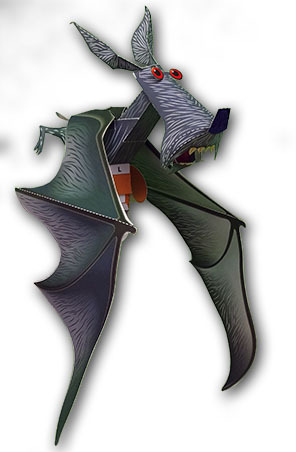 The size is 44 cms long from wing to wing, and once it dries, it moves with a single movement of your fingers. 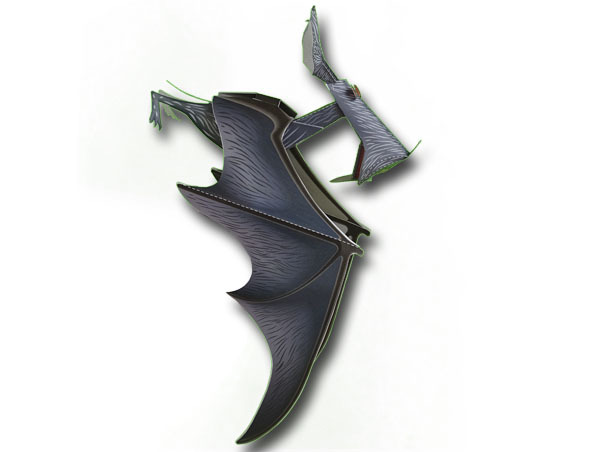 Print, cut, fold and glue!, for the Bat Dog to fly on your hands, chasing your friends. The best paper for printing is a card paper, in Mexico we use "Opaline" , is good using 125g but best 225g. The model is designed to fit all the page, so try to print in a option like "fit to page", some printers may change the printing results affecting a little the size and tone of the color, but using a fit to page option in all of them will result in a good model. For black and withe models, the best option is to print them in a laser printer, also we had a very good results using inkjet printer. Once you have finished building your mask, you may like to protect it from the dust and the humidity, so it is always good to give it a touch of transparent spray or transparent lacquer. You can print the model several times, if you make a mistake in one piece, just print another.